Penelope Burns of Gelfman Schneider/ICM Partners has agreed to kick off 2018 as our Featured Agent of the Month and critique four first pages that are submitted. Penelope is the newest member of Gelfman Schneider/ICM Partners. She came to the agency as an intern after graduating from Colgate University and attending the Denver Publishing Institute in 2012. Currently, as an agency assistant, Penelope is looking to a build a list of her own. She is interested in Literary and Commercial fiction and non-fiction, as well as a variety of Young Adult and Middle Grade. 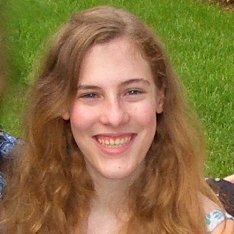 She is actively looking for YA/MG novels with a unique voice or an unreliable narrator, or an interesting and unique premise. I’d also love to see a YA contemporary romance, or a clever MG with a lot of humor. I am not seeking adult thrillers. How did you get interested in becoming an agent? In college, I took a class that brought in an agent and editor (both alums) for a question and answer session. Listening to them talk, I realized that publishing was a field I wanted to be in, where I could actually translate my love for books into a career. The summer after I graduated, I went to the Denver Publishing Institute, which reaffirmed my desire to work in publishing. I was drawn to agenting in particular because I love discovering and helping shepherd new voices through the publishing process, and I like having the freedom to select clients and genres I want to represent. I’m one of those people where it’s easier to ask me what I don’t like! I’ll read anything as long as it’s got a great concept and compelling voice. For YA, I’m particularly drawn to contemporary, fantasy and thrillers. For middle grade, I love anything with humor. For adult, I love a good psychological thriller. In non-fiction, I’m a fan of narrative nonfiction and memoir. Are there any story or themes you wished someone would submit? I’ve been craving a YA contemporary along the lines of Morgan Matson or Sarah Dessen for awhile now. I’m also obsessed with the show MR. ROBOT, and would love to see a submission among similar lines—sign me up for hackers and unreliable narrators. If a manuscript has a prologue, should that be included in the sample pages? Yes, absolutely. If you’ve written a prologue, there must be a reason for it. If I get a sample chapter that doesn’t include the opening pages, I wonder why. Is this where the story actually starts? Your query letter is your first impression, so I’d say very important. I know that query letters can be tough to write, so I’ll always take a look at the sample pages to see if the writing grabs me, but a strong query entices me right away. Should the word count be included in the query letter? Yes, I would prefer to know upfront. Word count is important—for example, a middle grade novel that’s 100,000 words is going to be too long. Do you like comps mentioned in the query letter? I love seeing comp titles in a query. It helps me get a sense if the manuscript is going to be in line with my tastes, and it’s always great when I see one of my favorites mentioned as a comp. I love a good snappy pitch, something that makes me sit up and say “ooh.” Don’t bog down the query with character names and places that don’t matter—be direct with your query. And I love mystery, or a query that ends with a conflict. Leave me wanting more instead of coming away thinking I know the entire plot. It varies. There are some submissions where I can read a first page and know I’m not connecting with some part of it, so it’s not for me. I can also read an entire submission and ultimately decide to pass, because I don’t feel I can be as passionate about the manuscript as it deserves. I’m sure this is common for most agents, but if the query is addressed to another person, or even just “Dear Agent”. It’s so impersonal and says to me that the author is perhaps not researching as well as he should before querying. I try to respond to every query, although I can’t provide personal feedback for all queriers. For requested materials, I always like to respond to the author and let them know what worked for me and what ultimately didn’t. For query letters, I’m currently at twelve weeks. Requested material can range from four to six months, perhaps longer if I’ve become backlogged. In the subject line, please write “JANUARY 2018 CRITIQUE” and paste the text in the email, plus attached it as a Word document to the email. Please make sure you include your name, the title of the piece, and whether it’s a picture book, middle grade, or young adult, etc. at the top on both the email and the Word document (Make sure you include your name with the title of your book, when you save the first page). CHECK BACK NEXT FRIDAY FOR PART TWO OF MY INTERVIEW WITH PENELOPE.